Electronegativity is a concept in molecular chemistry that describes an atom's ability to attract electrons to itself. The higher the numerical value of a given atom's electronegativity, the more powerfully it draws negatively charged electrons toward its positively charged nucleus of protons and (except for hydrogen) neutrons. Because atoms do not exist in isolation and instead form molecular compounds by combining with other atoms, the concept of electronegativity is important because it determines the nature of bonds between atoms. Atoms join to other atoms through a process of sharing electrons, but this can really be viewed more as a non-resolvable game of tug-of-war: The atoms stay bonded together because, while neither atom "wins," their essential mutual attraction keeps their shared electrons zooming around some fairly well-defined point between them. Atoms consist of protons and neutrons, which make up the center or nucleus of the atoms, and electrons, which "orbit" the nucleus rather like very tiny planets or comets whirling at madcap speeds around a miniscule sun. A proton carries a positive charge of 1.6 x 10-19 coulombs, or C, whereas an electrons carries a negative charge of the same magnitude. Atoms usually have the same number of protons and electrons, making them electrically neutral. Atoms normally have about the same number of protons and neutrons. A particular type or variety of atom, called an element, is defined by the number of protons it has, called the atomic number of that element. 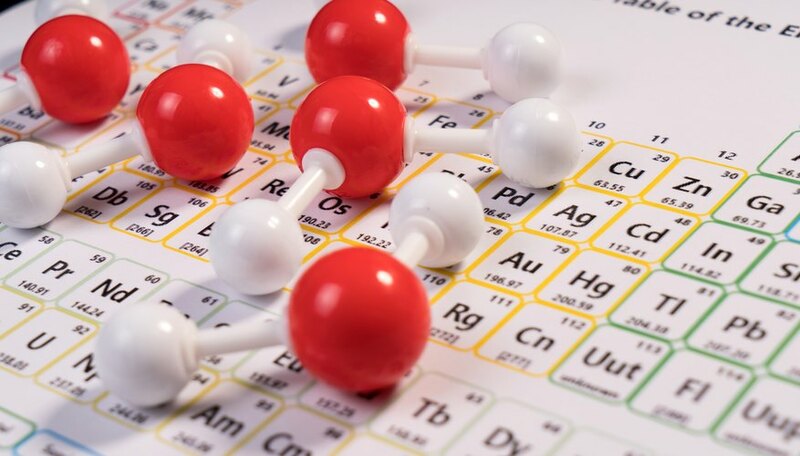 Hydrogen, with an atomic number of 1, has one proton; uranium, which has 92 protons, is correspondingly number 92 on the periodic table of the elements (see the Resources for an example of an interactive periodic table). When an atom undergoes a change in its number of protons, it is no longer the same element. When an atom gains or loses neutrons, on the other hand, it remains the same element but is an isotope of the original, most chemically stable form. When an atoms gains or loses electrons but otherwise remains the same, it is called an ion. Electrons, being on the physical edges of these microscopic arrangements, are the components of atoms that participate in bonding with other atoms. The fact that the nuclei of atoms are positively charged while the electrons careening around on the atom's physical fringes are negatively charged determines the way individual atoms interact with one another. When two atoms are very close together, they repel each other no matter what elements they represent, because their respective electrons "encounter" each other first, and negative charges push against other negative charges. Their respective nuclei, while not as close together as their electrons, also repel each other. When atoms are a sufficient distance apart, however, they tend to attract each other. (Ions, as you'll soon see, are an exception; two positively charged ions will always repel each other, and ditto for negatively charged ion pairs.) This implies that at a certain equilibrium distance, the attractive and repellent forces balance, and the atoms will remain at this distance apart unless disturbed by other forces. The potential energy in an atom-atom pair is defined as negative if the atoms are attracted to each other and positive if the atoms are free to move away from one another. At the equilibrium distance, the potential energy between the atom is at its lowest (i.e., most negative) value. This is called the bond energy of the atom in question. A variety of types of atomic bonds pepper the landscape of molecular chemistry. The most important for present purposes are ionic bonds and covalent bonds. Refer to the previous discussion about atoms tending to repel each other up close primarily because of the interaction between their electrons. It was also noted that similarly charged ions repel each other no matter what. If a pair of ions have opposite charges, however – that is, if one atom has lost an electron to assume charge of +1 while another has gained an electron to assume charge of -1 – then the two atoms are very strongly attracted to each other. The net charge on each atom obliterates whatever repellent effects their electrons might have, and the atoms tend to bond. Because these bonds are between ions, they are called ionic bonds. 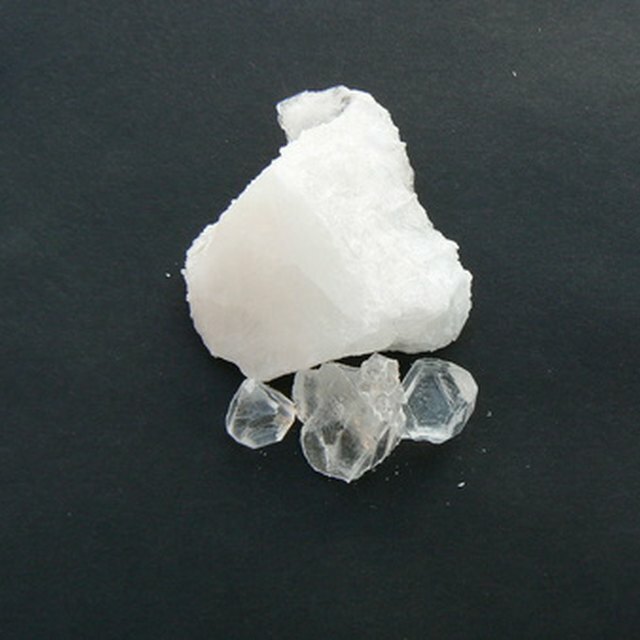 Table salt, consisting of sodium chloride (NaCl) and resulting from a positively charged sodium atom bonding to a negatively charged chlorine atom to create an electrically neutral molecule, exemplifies this type of bond. Covalent bonds result from the same principles, but these bonds are not as strong because of the presence of somewhat more balanced competing forces. For example, water (H2O) has two covalent hydrogen-oxygen bonds. The reason these bonds form is mainly because the outer electron orbits of the atoms "want" to fill themselves with certain number of electrons. That number varies between elements, and sharing electrons with other atoms is a way to achieve this even when it means overcoming modest repellent effects. Molecules that include covalent bonds may be polar, meaning that even though their net charge is zero, portions of the molecule carry a positive charge that is balanced by negative charges elsewhere. The Pauling scale is used to determine how electronegative a given element is. (This scale takes its name from the late Nobel Prize-winning scientist Linus Pauling.) The higher the value, the more eager an atom is to attract electrons toward itself in scenarios lending themselves to the possibility of covalent bonding. The highest-ranking element on this scale is fluorine, which is assigned a value of 4.0. The lowest-ranking are the relatively obscure elements cesium and francium, which check in at 0.7. "Uneven," or polar, covalent bonds occur between elements with large differences; in these cases, the shared electrons lie closer to one atom than to the other. If two atoms of an element bond to each other, as with an O2 molecule, the atoms are obviously equal in electronegativity, and the electrons lie equally far from each nucleus. This is a nonpolar bond. The position of an element on the periodic table offers general information about its electronegativity. The value of the elements' electronegativity increases from left to right as well as from bottom to top. Fluorine's position near the top right ensures its high value. As with atomic physics in general, much of what is known about the behavior of electrons and bonding is, while experimentally established, largely theoretical at the level of individual subatomic particles. Experiments to verify exactly what individual electrons are doing is a technical problem, as is isolating the individual atoms containing those electrons. In experiments to test electronegativity, the values have traditionally been derived from, of necessity, averaging the values of a great many individual atoms. In 2017, researchers were able to use a technique called electronic force microscopy to examine individual atoms on the surface of silicon and measure their electronegativity values. They did this by assessing the bond behavior of silicon with oxygen when the two elements were placed at different distances apart. As technology continues to improve in physics, human knowledge about electronegativity will flourish further. Beck, Kevin. "Explanation of the Concept of Electronegativity." Sciencing, https://sciencing.com/explanation-concept-electronegativity-8030.html. 27 November 2018.